Chop ham roughly. Add ham, cheese, quark and eggs to a bowl. Season with oregano, salt, and pepper. Whisk until well combined. 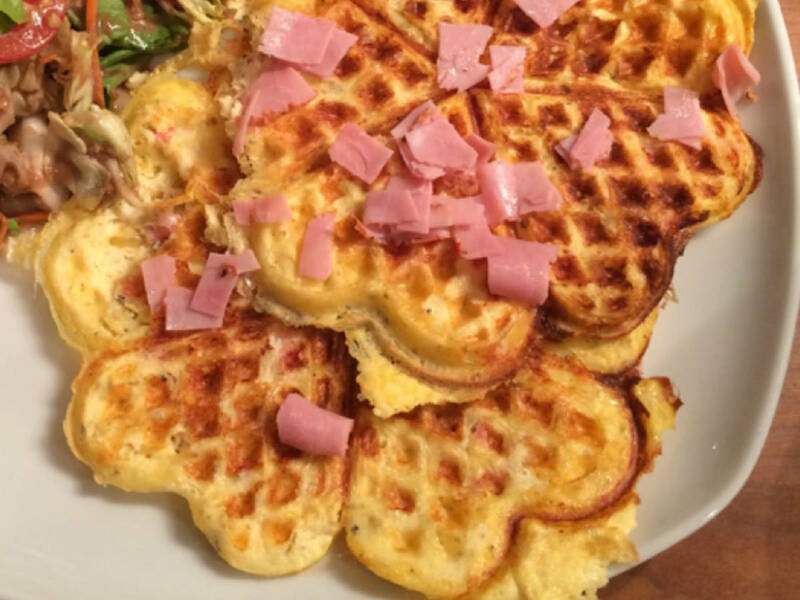 Pour batter into a waffle iron to cook. Enjoy!